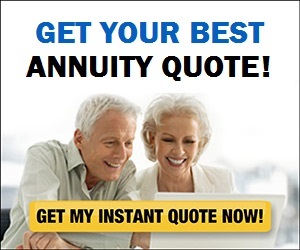 Real Deal Retirement » Blog Archive » Should You Buy An Annuity Before You Retire To Guarantee Income For Retirement? 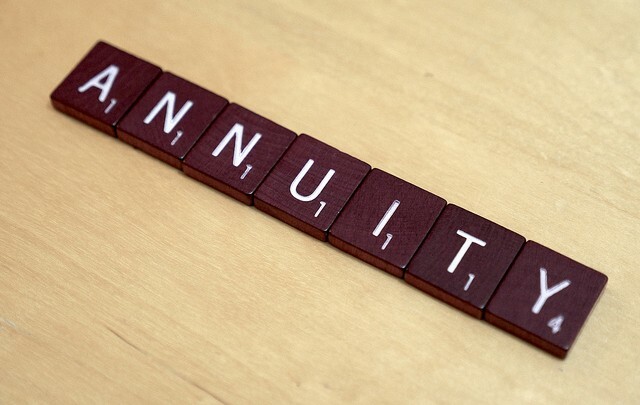 Should You Buy An Annuity Before You Retire To Guarantee Income For Retirement? My wife and I plan to retire in five years and our financial adviser is recommending that we move part of our portfolio of stocks and bonds into annuities now to reduce the risk of market volatility and ensure steady income when we retire. Do you think this is a good idea? Knowing that you’ve locked in some guaranteed income may also allow you to enjoy your post-career life more, as research shows that people who have pension-like income tend to be happier in retirement. For that matter, since the money you’ve put into the annuity is insulated from stock market gyrations, you may even feel comfortable enough to tilt the rest of your portfolio a bit more toward stocks in order to boost long-term returns and better maintain your standard of living later in retirement. But, frankly, I think there are several reasons you may be better off waiting until you’re sure you’re ready to retire—or even waiting until after you’ve called it a career—to decide whether you want to convert a portion of your savings into lifetime income. For example, although you now say you plan to retire in five years, you could see things differently over the next few years. You might decide that you want to stay on the job a bit longer, say, to sweeten a retirement package, boost your eventual Social Security payments or have a few more years of saving and investing to fatten your nest egg, in which case you may not need that guaranteed income to kick in as soon as you thought you might. Even if you do leave your job as planned, there’s the question of how much guaranteed income you’ll actually need. You can certainly get a sense of how much you might spend in retirement by completing a retirement expense worksheet like this one offered by BlackRock. But moving from your work-a-day routine to a retirement lifestyle can be a momentous transition—more free time, different schedules, eliminating some expenses while taking on new ones—making it hard to predict what your actual outlays may be. You’ll have a more accurate gauge of your spending and income requirements—and thus how much, if any, of your savings you want to convert to guaranteed income—once you’ve had a year or two of retirement living under your belt. And in fact, there’s no need to rush the decision. Research by Morningstar head of retirement research David Blanchett shows that you give up very little of the benefit of an annuity as long as you buy within 10 years of retiring. That should give you plenty of time to become more familiar with the pros and cons of annuities, get a handle on your expenses and decide whether you need extra guaranteed income in addition to what Social Security will provide. If you’re concerned about market volatility during your final years in the workplace—as you should be, given the market’s potential for steep downdrafts—you can divvy up your retirement savings among stock funds, bond funds and cash equivalents in a way that gives you adequate protection from short-term setbacks while still providing enough long-term growth potential to maintain your purchasing power over a retirement that could last 30 or more years. You can get an idea of how you might want to divvy up your assets given your risk tolerance—and see how different combinations of stocks and bonds have performed in the past—by going to this risk tolerance-asset allocation calculator. To see how many years you and your spouse should plan for your retirement savings to support you, you can check out this Longevity Illustrator tool. And to gauge how long your nest egg might last, you can plug different stock-bond mixes, withdrawal rates and planning horizons (i.e, the number of years you expect to live in retirement) into this retirement income calculator. In short, rather than committing now to a deferred income annuity for income that will start in five years, I think you should consider waiting until you’re at the threshold of retirement and then decide whether to lock-in lifetime income with an immediate annuity as part of your overall retirement income plan. If you’re still unsure, you can revisit the issue again every year or so as you gain more clarity about your retirement spending. If you do eventually decide to “annuitize” a portion of your savings, don’t feel you have to do so all at once. By moving your money into annuities gradually—say, buying two or three smaller annuities over the course of a few years rather than dumping in all your money at once—you’ll reduce the chance of investing all your money when interest rates (and thus annuity payments) are at a low. Before you buy, you’ll also want to check out these five tips for choosing the right annuity.